Get 10 Spooktacular Recipes That Are Healthy, Fun AND Great Tasting! Recipes include Monster Lentil Soup, Blood Punch, Spider Butter Cookies and much, much more! 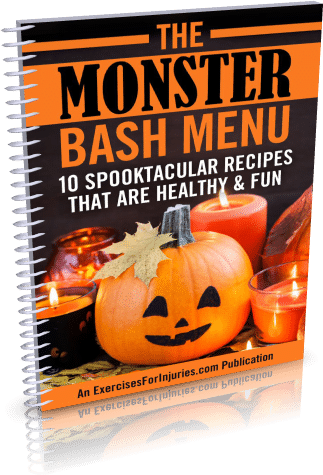 All recipes are anti-inflammatory – so you’ll feel better while getting in the Halloween spirit! Includes 3 “Monster Morsels,” 3 “Witch’s Brews” and 4 “No Tricks Just Treats” – all are easy to make and taste delicious!